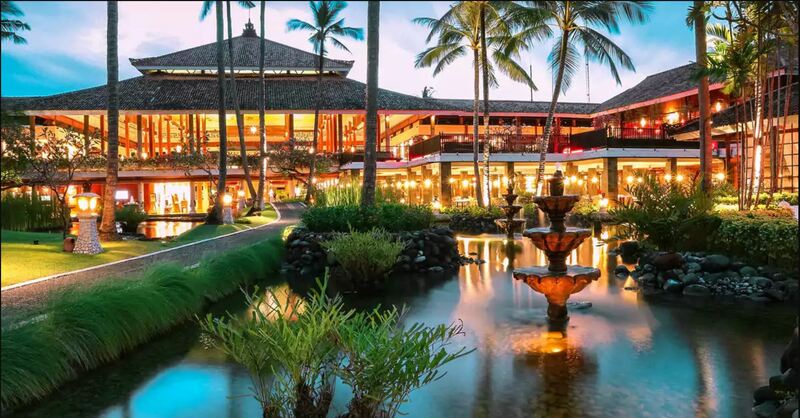 Set on 11 hectares of tropical gardens, this sophisticated resort is 1.7 km from Bali National Golf Club and 12 km from Ngurah Rai International Airport. The polished rooms provide flat-screen TVs, free Wi-Fi, minibars and coffeemakers, as well as private terraces and 24-hour room service. Suites add separate sitting areas, while villas offer private pools and dining areas. Parking and breakfast are complimentary. Other amenities include a business center, a fitness center and 4 restaurants. The resort also has beach access, an upscale spa, and both indoor and outdoor pools. Total space of 42 square meters room is available exclusively on the ground floor, featuring spacious patios and terraces especially angled to view the resort's lush tropical gardens. Equipped with 32-Inch LCD TV and richly polished furniture and a warm, contemporary atmosphere. Located on the upper floor and measuring 42 square meters, this rooms features contemporary tropical décor with canopied beds, private balcony, gleaming tropical wood floors and sleek furnishings. Amenities include coffee/tea maker, hairdryer, safe, and LCD TV. Each of the 48 square meter Lagoon Access suites feature a private terrace giving direct access to the Resort's new Lagoon pool just steps away. A specially designed comfortable day bed with a trundle for children, spacious marble bathrooms offer separate large tubs, standing showers and the latest in contemporary fittings. A glass door leads to the private terrace facing Meliá Bali's lush tropical gardens over the elegant crystal clear blue lagoon. THE LEVEL Junior Suites (split level) provide spacious accommodation and measure 71 square meters. The marbled entry-level comprises separate living and dining areas. Glass doors open up to the balcony with a view of mature, exuberant gardens. A teak stairway ascends to a teak-floored loft with king or twin beds. Spacious wardrobes, large marbled bathroom with bathtub, shower, and vanity area. Guests in THE LEVEL Lagoon Access Suite will enjoy many privileges of THE LEVEL Services. Discover The Level experience, designed to make your stay in Bali truly unforgettable.